The blockbuster movie "The Hunger Games" dominated box office charts for the fourth weekend in a row, outselling three new releases at U.S. and Canadian theaters. The Lions Gate Entertainment Corp drama about a televised teen death match brought in $21.5 million at domestic theaters from Friday through Sunday, according to studio estimates compiled by Reuters. The ongoing appetite for "Hunger Games" left three newcomers trailing. "The Three Stooges," featuring an updated cast of finger-poking stars, beat industry expectations to land in second place. The horror film "The Cabin in the Woods" finished third. The last movie to win four straight weekends was "Avatar," the highest-grossing film of all time, according to Hollywood.com. That film, released by Fox, went on to generate $760 million in domestic sales. Since "Hunger Games" hit theaters March 23, the movie has racked up $337 million in North American (U.S. and Canadian) ticket sales. That places it 22nd all-time in ticket sales, just behind Walt Disney Co.'s "Finding Nemo," according to the site Box Office Mojo. The film has also added $194 million from international markets, according to Lions Gate, for a global total of $531 million. "There's nothing old about finishing No. 1," said Richie Fay, Lions Gate president of distribution. "We're just happy to be able to look over our shoulders and see how well we've done." Horror movie "The Cabin in the Woods," also from Lions Gate, rung up $14.8 million in domestic theaters. Industry forecasters had projected "Cabin" would debut with at least $13 million domestically. The movie picked up steam over the weekend, adding 3 percent from Friday to Monday, said Fay, unusual for a horror flick and points to good word of mouth. The film generated surprisingly good reviews from critics, which helped sell the film to an over 25-year-old audience that doesn't generally go for creepy movies. "The Three Stooges," an effort to bring the goofy comic trio to a new generation, pulled in $17.1 million for second place. The eye-poking act started as vaudeville comedy in 1930 and enjoyed its greatest popularity in through 1946, according to the online site Wikipedia. In the current movie, this slapstick trio Larry, Curly and Moe stumble into a murder plot and star in a reality television show. Fox spent about $35 million to produce the film and had projected opening weekend sales of around $10 million. Box office prognosticator had projected it would do $15 million. "The Three Stooges" drew more than 52 percent of its audience from movie under the age of 25, said Chris Aronson, Fox's executive vice president for domestic distribution. That could point to a lengthy run in theaters, he said. The comedy sequel "American Reunion" grossed $10.6 million, giving Comcast Universal Pictures a second film in the top ten. Its animated film "Dr. Deuss' The Loral," was tenth for the weekend with $3 million, adding to a total of $204 million so far this year. "People said you could get more if we released them in the Summer, said Universal president of distribution Nikki Rocco. "but look at the summer lineup." The summer will be filled with blockbusters in waiting, including sequels to "Men in Black" and "Spider-Man," and another installment of the Batman "Dark Knight" series. The other new nationwide release, sci-fi thriller "Lockout," landed in tenth place with nearly $6.3 million at domestic theaters. The film tells the story of a man who tries to rescue the president's daughter from an outer space prison. 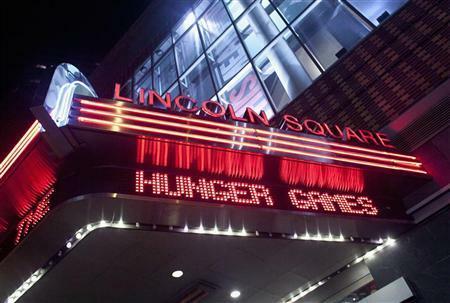 The movie played in about 2,300 U.S. and Canadian theaters, compared with more than 3,900 for "Hunger Games." Also this weekend, big-budget action movie "Battleship" opened in 26 overseas markets starting Wednesday. The film pulled in $58 million in offshore markets, according to distributor Universal Pictures. News Corp's 20th Century Fox studio distributed "Three Stooges." 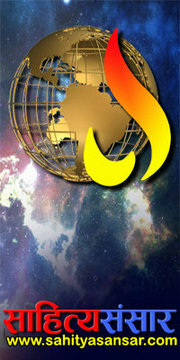 "American Reunion" and "Battleship" were released by Comcast Corp's Universal Pictures. Paramount Pictures, a unit of Viacom Inc, distributed "Titanic 3D" in domestic theaters. Open Road Films, a joint venture between theater owners Regal Entertainment Group and AMC Entertainment Inc, distributed "Lockout." The movie was produced by independent studio Film District.